℗ © 1994 Rephlex. Made in England. Released as a standard 2xCD jewel case with 2-page insert. 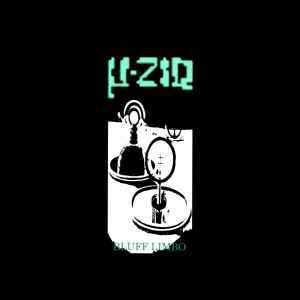 Reissued in autumn 2004: µ-Ziq - Bluff Limbo. What’s with this lousy rating? Oh that’s right, those of us who are in the know don’t wanna clue you in to the awesome toonage. Only thing better than Tango N’Vectif is this. For the longest time I only had this album on cassette until I picked up a cd copy at the long departed Strange in NYC. I’ve still got it, and man it rocks like a motherf----r. I still remember chilling in my hammock while the cicadas buzzed in the garden and playing this tape on repeat over and over. The 8-track cassette lo-fi sound only adds to the awesomeness in my opinion. Tell me when the breakbeat kicks in in Twangle Fret you aren’t totally blown away, and I’ll tell you you’ve got no soul baby. Nobody else ever made a D-50 sound like this, and they never will. Only one way I can think of to describe this album - Mood Swings. Disc 1 starts off pretty chipper with some nice gritty beats and happy melodies on "Hectors House." By the time track 5 rolls around however, I'm pretty ready to fall asleep. Just when I'm nodding off to the dreary melodies of "The Wheel," I'm reawakened by the harsh distorted beats of "Metal Thing #3," a track borderlining straight noise! Paradinas keep the energy with "Twangle Frent" a peppy track with all kinds of bells and whistles! Disc 2 kicks off with some nicely layered melodies and percussive tracks on "Riostand." Unfortunately this was the highlight of Disc 2 for me. "Organic Tomato Yoghurt" is like some kind of abstract acid track that leads into a couple of dreamy ambient tracks. "Dance 2" pretty much sums up what that song is. The album ends with the heavenly string-plucking of "Ethereal Murmurings" which relaxes me into a deep sleep.